Once you’ve decided upon a production company with which to partner for your video needs, reviewing the contract is one of the most important elements of the process. Unexpected surprises or details can cause a lot of problems later, so make sure to review the language carefully. Corporate video production is usually fairly straight-forward, but a few contract details are essential to keep in mind, specifically payment terms, deliverables, and timeline. Most production companies ask for a 50% upfront deposit for video work, especially for larger projects where the production company enters into its own contracts with various other independent contractors to make the video happen. As a policy, video production companies won’t agree to no money down because they’re not banks, so without receiving a 50% deposit to cover their costs, they would have to dip into corporate savings. Additionally, if a company decides to break contract and not make final payment for creative reasons, the production company at least has collected enough money to cover most costs. Larger video productions may divide the payments over more than two installments. 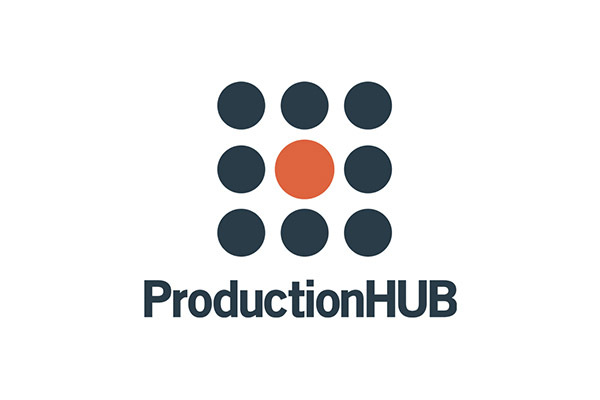 For a huge production, payment of 25% upfront may be followed by 25% on the day of production, 25% more upon delivery of a rough edit, and the final 25% upon final mastering. Terms vary by company, but most production companies are willing to work with the client to come up with terms that make sense and protect both parties. If a company asks for 100% upfront, buyer beware. You’re not purchasing T-shirts at Wal-Mart. By paying the production company fully, you lose any leverage in the process if the production company doesn’t deliver what they promised. The contract should specify what final elements are delivered to the client and in what formats. As a company commissioning a video, you may want the video production company to deliver all RAW footage and the final master file. Otherwise, you risk a company holding you hostage if you decide to make additional edits a year later. Perhaps you want to make a small tweak to the video, but the company informs you their minimum charge for any editing is $1,500, even if it takes two hours of editing time. By having all of the RAW footage, you have the option of looking elsewhere for your editing needs. One point of contention is the actual editing file, whether it’s a Final Cut Pro file, a Premiere file, or an Avid file. Many production companies may be reluctant to give clients editing files, partially because the edit files could contain proprietary information that they don’t want to hand over to other production companies. The RAW footage, however, should rightfully belong to you as the client. If the production company resists, it should be considered a red flag. Why should the production company own footage of your business when you’re paying the bill? Any attempt to limit the client from having their own RAW footage cannot come from any other reason than trying to control the client and keep them from leaving. Top production companies retain their clients through great customer service and quality, not from holding footage hostage like a kidnapper seeking ransom. The delivery timeline is hugely important to many clients. If you are preparing a video for a product launch, a trade show, or a location opening, you need the video by a specific date. Make sure the production company agrees to deliver by your target date and set milestones along the way. For instance, if you want a video finished by September 1, make sure the video shoots no later than August 1, allowing a few weeks of editing for a rough cut, then a few weeks of editing notes and revisions before final delivery. Keep in mind video production in general takes from 8-12 weeks depending on complexity. If you want a video faster, many companies can make it happen within 4-6 weeks but it may require a rush charge as the company tries to find ways to push other projects aside for yours. Finally, most production companies will ask for promotional use of the videos they shoot. Unless the video is of a top secret or internal nature, most clients never mind extra promotion of their products and services on the production company Website, YouTube channel, or Facebook. After all, most corporate videos are created for promotional use, so there is no harm in them appearing in more locations; it could even boost SEO efforts for the client. Showcasing quality videos is also how production companies continue to grow as a business, so unless you have a specific concern, don’t worry about the production company promoting your video.